#1116, 207 W. Hastings St.
"I would like to thank you for your tests. They are really the best I have tried. They are similar to the real TOEIC test I passed one week ago. I've just received my score report: 940! (I was only expecting 750...) I'm very very glad to you: I owe you this success." "I think that TestDEN is probably the best TOEIC training on the web because its tests provide the practice one needs to improve. You know, it is hard to find a website which gives you the opportunity to perform on the TOEIC Session. I am very grateful of the training your website provides me." "I felt that the TOEIC test that TestDEN.com provided was a little challenging. The test was very similar to the real TOEIC test and I thought that it would be an excellent practice. I'm planning on taking the TOEIC test soon. I'm grateful for such a great oppurtunity. Thank you TestDEN.com!" "I needed to improve my English to get the job I want. Your TOEIC course helped me a lot. I can speak and write better now. I hope to make my goal! I feel confident now. Thank-you very much!" "TestDEN and TOEIC are very useful and interesting. I can improve my English effectively when I do the tests in your website." Because your future is worth it! ACT360 Media Ltd. is the developer and owner of TestDEN. We are an education software developer based in Vancouver, Canada. Since 1998, our team has been helping students learn English more effectively and achieve their educational goals. For more information about ACT360, visit our website at www.act360.com. TestDEN is an online education resource for people preparing for standardized tests, like the TOEFL and TOEIC tests. You do! Our Internet services make learning English easy, convenient, and affordable. Our customers include international students, language schools, and corporations in 60 countries. How long have ACT360 Media and TestDEN been in business? ACT360 Media is a pioneer in the industry, having launched the Digital Education Network in 1995. ACT360 Media has also developed online learning applications in partnership with Microsoft, Kaplan, Englishtown, and New Oriental. Our first online test preparation product was launched in February 1997. 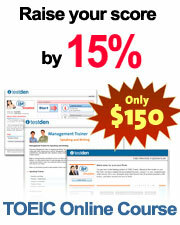 TestDEN Trainer was the first and only personal TOEIC training program on the Internet. Since then, TestDEN has helped tens of thousands of students in more than 60 countries prepare for the TOEIC and TOEFL tests. Who develops your test preparation content? TestDEN works with a network of professional writers and subject matter specialists to develop our test preparation materials. These writers base their work on rigorous standards established by our editorial and education team.